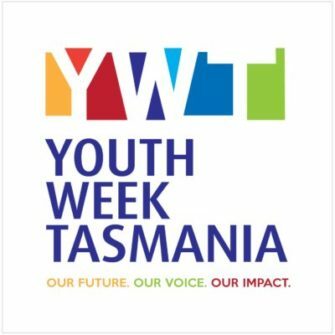 FREE activities for young people and their families will be provided in the Derwent Valley for Youth Week Tasmania next week. The Derwent Valley Youth Future Action Team (D’FAT) has been granted up to $2000 towards the cost of these activities, which will be staged between April 10 and 17. An outdoor movie night at Arthur Square on April 13 from 7pm.
" The Event" at Ellis Dean Reserve, Blair St, on April 13, from 11am-2.30pm with Laser Skirmish, face painting, a jumping castle, Youth Beat program, a barbecue and a coffee van. Robotics and programming activities at Glenora District School and the Derwent Valley Salvation Army on April 17. "The film shown at the outdoor movie night will be Incredibles 2 and bookings are essential for the popular robotics and programming activities," Mr Kaiser said. To book a place at the robotics sessions, visit http://ywt19_glenora_robotics.eventbrite.com.au or http://ywt19_newnorfolk_robotics.eventbrite.com.au. Bookings are not required for The Event or the movie night, but movie-goers are encouraged to bring a picnic rug, deck chair or bean bag. Food and drink will be available. D'FAT is also supporting the Market in the Carpark Twilight Festival at 374 Main Rd, Glenorchy, from 3.30-7pm on April 12. Since 2000, National Youth Week has provided a celebration of the efforts and contributions of young people aged 12–25 in their communities. Since last year, Youth Week Tasmania has been funded entirely by the State Government. D’FAT is a nominee for the 2019 Tasmanian Volunteering Awards, which is co-ordinated by Volunteering Tasmania and is supported by the Tasmanian Government.